Seabury-Hill Realtors is an independent family owned and operated, full service “boutique” agency located in Wooster Square, New Haven. We have proudly served the real estate needs of the Yale community and the Greater New Haven and Shoreline area since 1926. We are the #1 Real Estate Office in New Haven for sales and rentals (2016 & 2017) – with over $57 million in sales, and more than $694,000 in rentals last year. Our agents are consistently top ranked, year after year. Seabury-Hill Realtors specializes in residential sales and rentals (houses, condos & multi-families); investment properties; buyer representation; commercial properties; and free market analysis and consultation. Seabury-Hill is known for its personalized service and attention to detail. Our agents are present at all showings to represent your best interest and to market your property in a knowledgeable and professional manner. 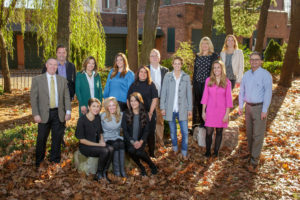 Our agency is a member of the National Association of Realtors, Connecticut Association of Realtors, the Greater New Haven Association of Realtors and the Multiple Listing Service of Connecticut MLS and Realtor.com.